Pancreatitis in dogs is a relatively common, painful condition resulting from inflammation of the pancreas. The pancreas produces hormones such as insulin for controlling blood sugar and digestive enzymes for breaking down fat and starch from the diet. When it becomes inflamed it can cause serious illness in dogs. At tails.com, we're able to help if your dog suffers from pancreatitis. Simply tell us during your nutritional consultation so that we can create a tailor-made blend which is suitable for your dog's needs. The causes of canine pancreatitis are often a mystery, but excessive fat in the diet can be a trigger. Other causes include acid reflux from the stomach, trauma to the abdomen, side effects of certain drugs, tumours, infections or any digestive issues that cause inflammation. Whatever the cause, once the pancreas is triggered it releases digestive enzymes into its own tissue and becomes inflamed and painful. Treatment is aimed at providing pain relief, fluid therapy and addressing the underlying cause if possible. In serious cases, pancreatitis can even prove fatal so early veterinary treatment is crucial. The frustrating thing about dogs with pancreatitis is that it’s often a chronic or long term condition. Once a dog has an episode of pancreatitis they are far more prone to it in future. Obese or overweight dogs are naturally more prone to this painful condition too. Modifying your dog's diet can be a simple way to reduce future incidents of pancreatitis in affected dogs. 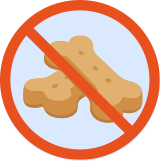 Limiting fat levels in your dog’s diet to a maximum of 8-10% and removing fatty treats will help greatly if your dog suffers from pancreatitis. 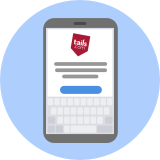 At tails.com, we take care of this for you when you select pancreatitis as a health condition during our easy online nutritional consultation. 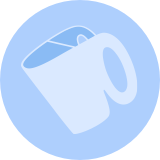 We automatically limit fat levels in their blend to a maximum of 10% for life, yet still provide them with an optimised diet to meet their lifestyle and other dietary needs. As excess weight is a risk for dog pancreatitis we can also help by providing a feeding plan with just the right amount of calories for steady weight loss. We provide a Perfect Portion scoop, so you can be sure you're feeding the right amount. For pancreatitis dogs who need help promoting stable digestive function, we can use easily digestible ingredients, adjust fibre levels or add prebiotics to their blends.